The unique and endlessly creative artist Prince (Purple Rain) has died at his Paisley Park home, outside Minneapolis, aged 57, leaving behind him a gaping hole in musical genres as diverse as R&B, rock, funk and pop. The death was announced by his publicist Yvette Noel-Schure after police had been called to the premises which double as his music studio in the Minnesota city. No details were immediately given for the cause of death, though last weekhe was rushed to hospital apparently recovering from a bout of flu that had forced his private jet to make an emergency landing in Illinois. The sudden death of the diminutive man who became such a towering musical figure, selling more than 100m records in a career of virtually unparalleled richness and unpredictability, prompted an emotional response across the music world. 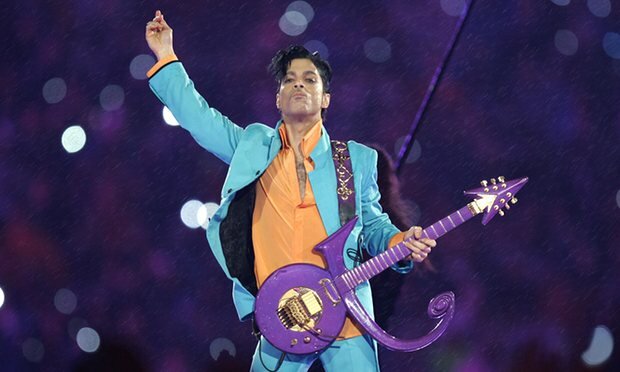 Wendy Melvoin and Lisa Coleman, former members of Prince’s band the Revolution, said they were “completely shocked and devastated by the sudden loss of our brother, artist and friend, Prince”. On Twitter, fellow musicians and celebrities vented barely contained grief. Boy George called Thursday “the worst day ever”; Katy Perry said: “And just like that … the world lost a lot of magic.” The Minneapolis-St Paul radio station 89.3, The Current, played his music on a permanent loop. He was pronounced dead at 10.07am. Police say they are continuing to investigate the circumstances of his death. One thing was certain: Prince lived life to the fullest right up to his early demise. If anything, the workaholic who regularly slept three hours a night and would play impromptu concerts until dawn was accelerating the pace of his hectic schedule when he died. Standing just 5ft2in tall, Prince truly had an outsized influence on the world. Born in his beloved Minneapolis on 7 June 1958, his sprawling musical tastes, androgynous style, genre-bending imagination, sexual outrageousness and flirtation with religion left fans forever guessing about where he would go next. His wry, almost satirical relationship with fame, combined with his masterful skills at self-projection, led him to play with his own name. Which is perhaps unsurprising, as he never really had his own self-identity: he was christened Prince Rogers Nelson after his father’s stage persona, Prince Rogers. In 1993, Prince famously changed his name to an unpronounceable symbol, causing momentary panic across newspapers and publishing houses who scrambled to find ways to replicate it. Their distress was eased when a way out was found with the description “The Artist Formerly Known as Prince”. That moniker remained until 2000. But far more important was his equal willingness to shatter norms and conventions in music. His love of songwriting stretched right back to childhood – he penned his first song aged seven – and while he was still a teenager he recorded his first demo tape at Moon’s Studio in Minneapolis, earning himself a contract with Warner Bros.
Over the next 40 years he made 40 albums and won seven Grammy awards in a flood of musical output that even left the artist himself bamboozled. Last year hetold the Guardian that he’d decided to dispense with a band and with a huge back library of previous songs because he found it so hard to marshal. His breakthrough came with the 1979 album Prince, which hit the top of the Billboard R&B charts and contained the smash singles Why You Wanna Treat Me So Bad? and I Wanna Be Your Lover. Dirty Mind (1980) and Controversy (1981) both managed to attract musical admiration but also, as the latter title suggested, provoke a firestorm of criticism for their edgy interplay between religion and sexuality. With every cleverly concocted row, Prince’s star shone brighter. But it was in 1984 with Purple Rain that he really captured global adulation. Purple Rain was not so much an album and film, it was a cultural phenomenon. The song of the same name, with its first verse dedicated to his father and recorded over a daring 13 minutes in the First Avenue club in Minneapolis, went on to provide the skeleton structure for both album and movie. 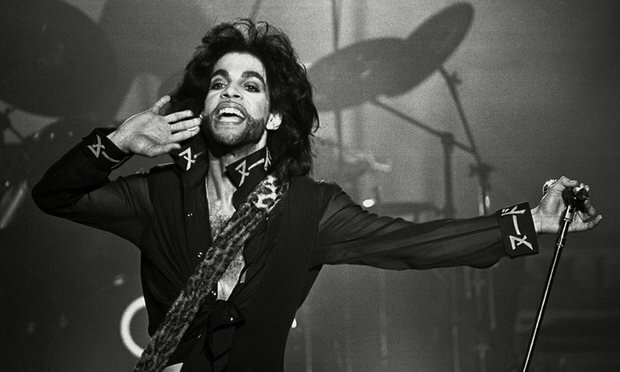 Prince was rewarded with 13m sales of the album. The film, featuring a central character called “The Kid” who leans heavily on Prince’s own life story, won him an Oscar for songwriting. While other artists who cut their teeth in the 70s have settled for repetitive revivals of their past glories, none of that would satisfy Prince. With the passing of the millennium, his creative production and desire to explore new pastures only grew more intense. In 2007 he performed a 12-minute set at the Super Bowl that has widely been credited as the greatest half-time show ever at the footballing event. Then, from February 2014 to June 2015 he went on a series of Hit N Run tour dates, wreaking havoc across 15 cities for 39 gigs in a little over a year. Flanked by his band 3rdeyegirl, the Purple One’s guerrilla gigs would be confirmed sometimes no sooner than a few hours before via Twitter. Stopping in at locations from London to Louisville, Paris to Montreal, his epic sets would take place in a litany of shapes and sizes, at jazz clubs and arenas. Those who witnessed his most intimate performances would have been rewarded, after hours stood in snaking queues, with a greatest hits funk extravaganza, the likes of Let’s Go Crazy, 1999, Little Red Corvette performed so close you could stare into the whites of his eyes. As a result, thousands of fans were given the opportunity to watch the great musician perform a career-spanning set for one last time. 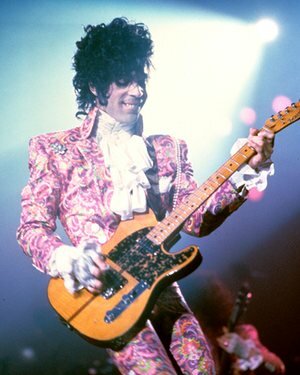 Barney Hoskyns, author of Prince biography Imp of the Perverse, said Prince was an artist who defied labels and genres. “This was a guy who effortlessly wrote great riffs, grooves and who packaged them in a really distinctive way. He came out of the white midwest, not the black ghetto, so he synthesized a lot of influences. His final shows were last week at the Fox Theater in Atlanta, where a strict no photos or video rule was in place for two consecutive sets. Billed as the Piano and a Microphone tour, Prince played solo at a purple grand piano. Before concluding with Kiss, his third encore performance in the earlier show, Prince sang Heroes in tribute to David Bowie, who died in January. Back on stage within the hour for his final late night show, he ended with three encores and a medley of Purple Rain, The Beautiful Ones and Diamonds and Pearls. When the Guardian visited him in Paisley Park last year, he described spending the previous night just playing to himself for three hours without pause.